A radiator is a major component responsible for keeping your engine at a safe, operable temperature. When your radiator fails, your engine is at risk of failure as well. At Rockville Auto & Truck Service, we have qualified mechanics that provide radiator repair in Rockville, MD. Our auto repair shop is equipped to provide all types of work on your radiator, including a radiator flush and maintenance services. If we cannot get your radiator working, we will provide you with a new radiator replacement. Have you recently suffered an automotive breakdown due to an overheated engine? It can be a scary sight to see smoke coming from underneath your hood when you are driving. If you want to avoid the dangers of overheating, you need to make sure you take good care of your vehicle's radiator. Our radiator service can determine exactly what is wrong with your radiator and whether we should fix the issue or replace the whole radiator unit. When your radiator is not working as effectively as it did in the past, you may want to consider having it replaced. Our mechanics have access to a full line of radiator units to fit vehicles of every make and model. We will select the ideal one for the type of engine your vehicle has and perform the installation. Once we complete the installation, we till test out the new radiator to make sure it functions properly and keeps your engine at a safe temperature. 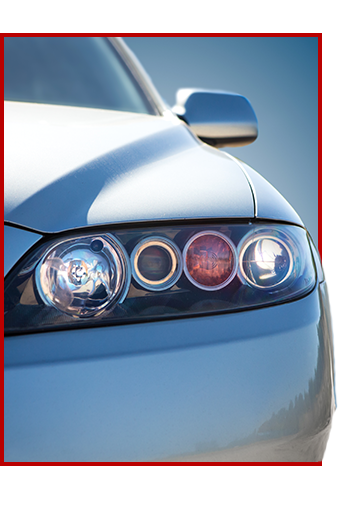 When you look under the hood of your car, do you see discolored spots on the radiator? A radiator fluid leak is a common problem, and it can cause the engine to overheat unless the proper steps are taken to fix the issue. A coolant leak is another indicator of a problem with the radiator. You can typically tell if you have a coolant leak if there are puddles of green or orange liquid accumulating underneath your vehicle when it is parked. If you notice these signs and determine you need a professional radiator service, bring your vehicle to our auto shop. Often replacing the fluids is all that is needed to remedy the overheating problem. We may need to perform more in-depth repairs if we see your radiator system has damaged or worn parts. Sometimes the issue lies with components connected to your radiator. Water pumps and hoses are essential to maintaining the functionality of a radiator system. We have the parts and tools to replace these components and test them out once they are installed. Trust our expert mechanics to restore your radiator to excellent condition. Contact us today with any questions about maintaining your vehicle's radiator. We are conveniently located to serve customers in Rockville, Damascus, Gaithersburg, Germantown, and North Potomac, MD..